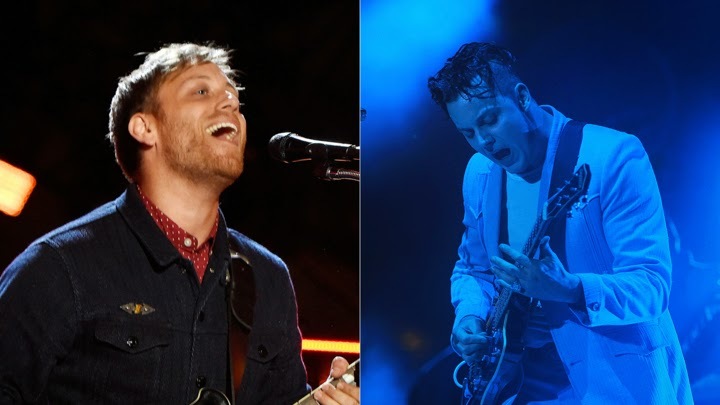 Paramore's "Ain't It Fun," the Black Keys' "Fever" and Jack White's "Lazaretto" are among the singles eligible to win the trophy for Best Rock Song at next year's Grammy Awards. Beck's "Blue Moon" and Ryan Adams' "Gimme Something Good" round out the nominations in the category. Earlier this year, Paramore frontwoman Hayley Williams described "Ain't It Fun" playfully as "word vomit" in an interview with Rolling Stone. "It just came out, and now everybody's singing it, it's on the radio, it's really cool," she said. "I don't know if you get that twice in your career. This is the first time we've experienced it, and I'm just really thankful." Black Keys released "Fever" as a single this past May and accompanied it with a televangelist-themed video, directed by Theo Wenner. Speaking with Rolling Stone, Dan Auerbach said the duo's latest album, Turn Blue, was meant to be a "headphone record." He added, "It pays off to listen more than once." Jack White named both his latest album and Grammy-nominated song after an obscure word for a house where infirmed people can be treated. This past April, he premiered the single as part of Record Store Day, recording it live and pressing it the same day so he could earn the Guinness World Record for the "world's fastest record." Beck put out "Blue Moon," which appears on this year's Morning Phase, in January a few days before it featured on an episode of Girls. Like the rest of the songs on the record, the tune is set in the early morning hours, which Beck said he approached on purpose. "There's this feeling of tumult and uncertainty, getting through that long, dark night of the soul – whatever you want to call it," he told Rolling Stone this year with a laugh. "These songs were about coming out of that – how things do get better." Adams debuted "Gimme Something Good" over the summer and followed it up with avideo that features Elvira. Later in the year, he embarked on his first tour with a live band since 2009 after seeking therapy for the inner-ear illness Ménière's disease. "I'm ready for the challenge," he told Rolling Stone before the tour. "I just did that last [acoustic] tour, and I'm so proud of that – like, I am so proud.... When I play music now, it's the safest place." The organization behind the Grammys, NARAS, is announcing the nominees throughout the day today via its Twitter account. All will be announced by 2 p.m. with the exception of Album of the Year, which will be announced tonight during the TV special A Very Grammy Christmas, which airs on CBS at 9 p.m. EST. The ceremony will air on Sunday, February 8th on CBS.